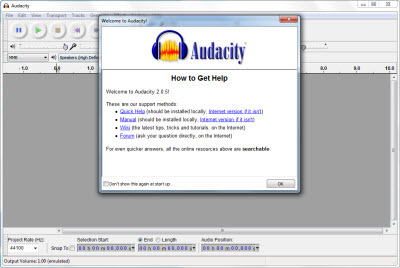 Instructions for installing Audacity, an audio recording and editing software that is free to use and download. 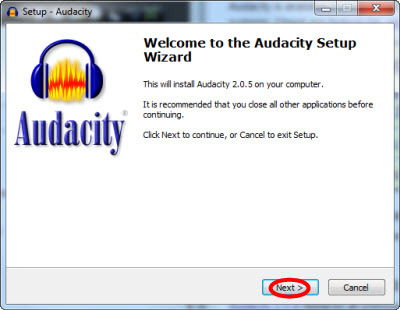 Step 2:Click Download Audacity 2.0.5 for Windows. 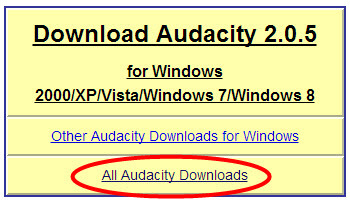 If you need to download the Mac or Linux version, click All Audacity Downloads instead and select the download you need. Step 3:The set up file will download. Once it has finished, click on the downloaded file. 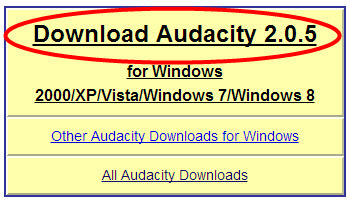 If you don't see the download file at the bottom of your browser, you can located it in your downloads folder. You may see a security prompt. Enter your credentials to continue. 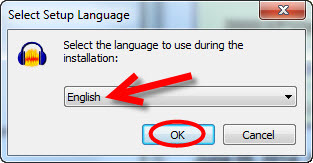 Step 5:Set the language to English and click OK. Step 6:The setup wizard will appear. Continue as you would to install any program. 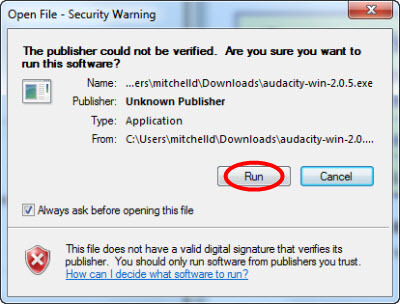 Step 7:Check Create a desktop icon when you are given the option if you would like to have access from your desktop. 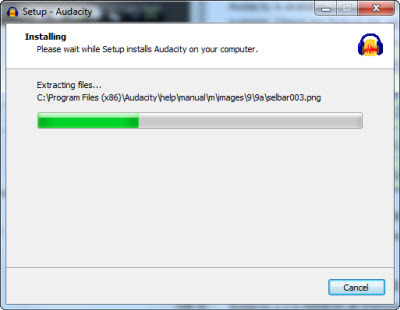 Step 8:Click Install. The installation will begin. 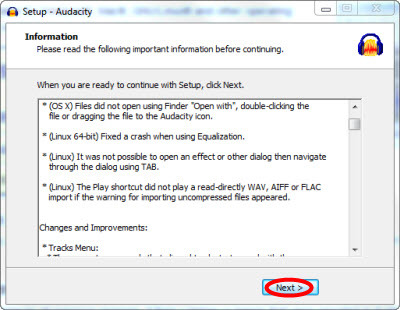 Step 9:An information pop up will appear, showing changes since the last version of Audacity and fixes to previous issues. Click Next >. Step 10:Click Finish to complete installation. 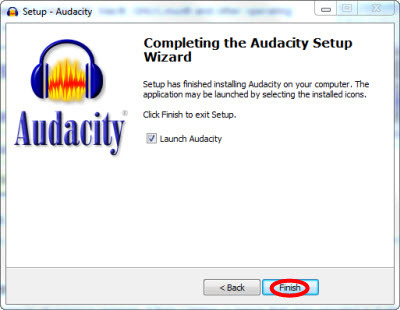 You have now installed Audacity. For a visual walk through of how to download the program, watch this Hoonuit video.